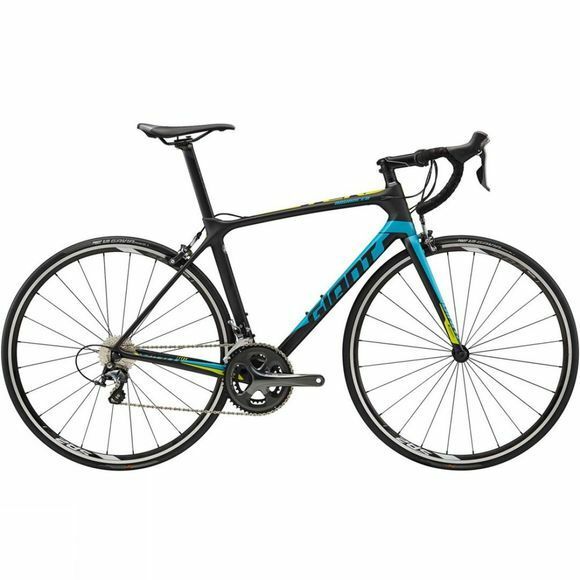 The most efficient race bikes have the perfect balance of light weight, stiffness and smooth compliance on the road. Inspired by this Giant have designed their TCR Advanced to deliver on all three, making it a versatile performer for competitive road riders. The Advanced-grade composite frame shaves off every gram possible, while retaining pedal-stomping stiffness. The OverDrive steerer system and MegaDrive downtube are engineered for precise handling so you can rail corners at speed. And, with a Variant seatpost, that is engineered for an ideal blend of efficiency and compliance, this incredible bike will keep you fresh until the finish on those big days in the saddle. Giant have even finished this bike off perfectly with a Tubeless Ready wheelset.